Bombing down the north face of 10,741-footer, Jackson Peak, is a skiing experience that many locals can't get enough of. 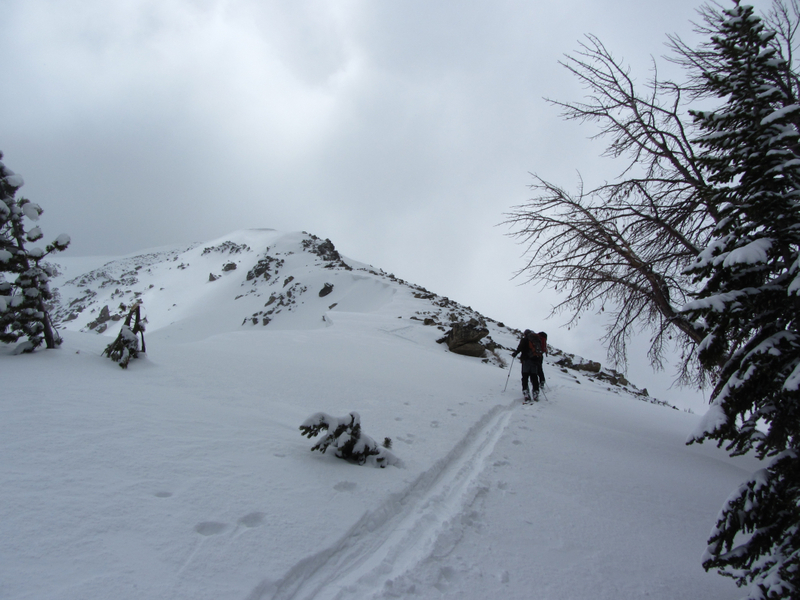 The 10,741-foot summit of Jackson Peak in the Gros Ventre Wilderness offers some of the best backcountry skiing you can find in the Jackson area. You can either choose the more mellow southeast-facing slopes or get your adrenaline pumping by bombing down the steep and craggy north face. 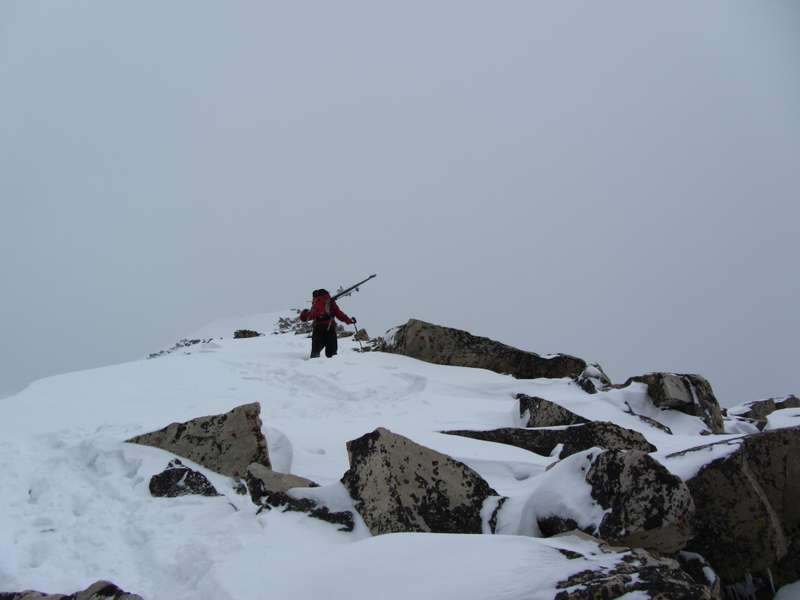 Accessing the summit requires ascending the western ridge of the north face, and it is a proper alpine experience. There is exposure. There is a fairly precipitous scree field to the right. There is a huge cornice that cantilevers out over the face of the ridge to the left. And it's pretty strenuous, especially the closer you get to the top. 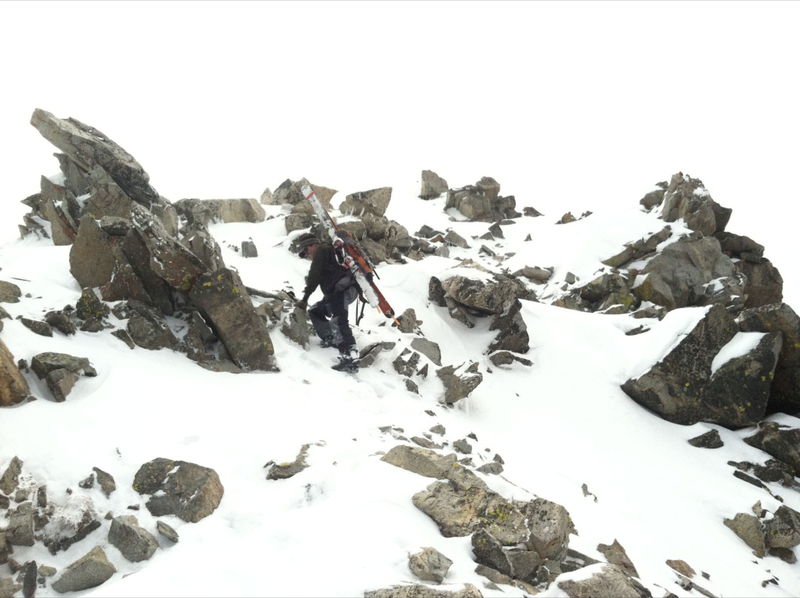 Once you put your skis or board onto your back and begin booting, you might sometimes need two hands to pull yourself up, over, or around boulders. From the summit, you've got several options down. Again, there's the easy way down and around to Goodwin Lake, and then there's the exhilarating way down the north face. Most of the lines here push 40 degrees. Skiing the apron in the wide basin beneath the face is pure fun: a 20-degree, wide-open slope. The whole run is 1,000 feet, which is not all that much considering the 3,700 feet you ascend to get to it, but it is 1,000 feet of good, interesting skiing... even in May. The traverse out from the basin is generally good. Judging by the height of the new trees (30- to 40-feet), several decades ago there was some clear-cutting done around here. Sticking to these former clear cuts until you hit what must have been a logging access road near the bottom makes for the easiest out. 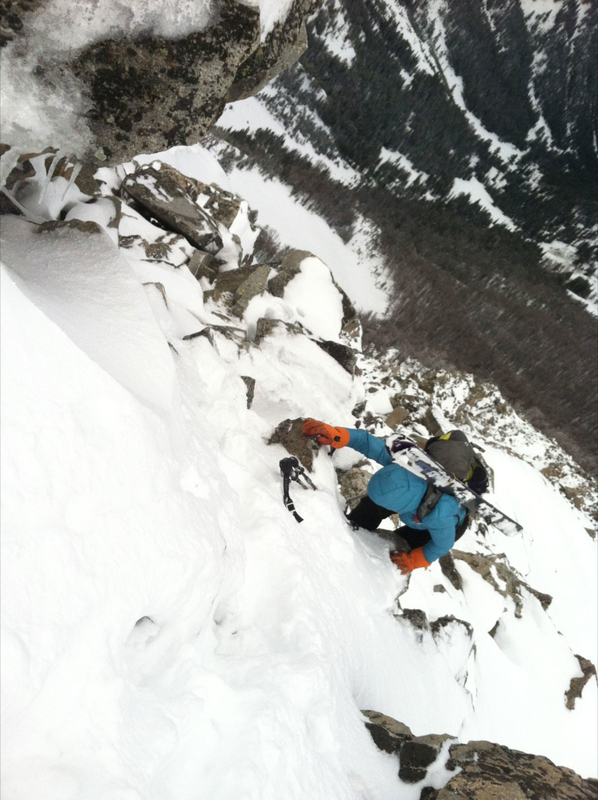 Ski mountaineers who want a burly climb with excellent skiing will love this route. It's a tough day but worth it for the descent. 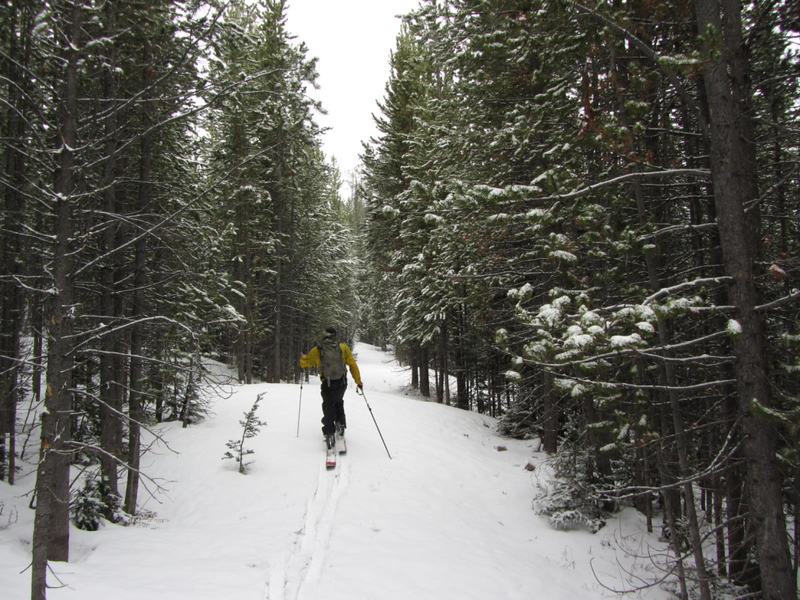 To get to the Goodwin Lake trailhead, take the Elk Refuge Road. Turn right and go up Curtis Canyon. The road is definitely closed until May 1 and, weather permitting can be closed after that. Make sure to check with the Jackson Ranger District for closures. If you’re looking to ascend via the western ridge of the north face and don’t have a friend to go with who’s already done that route, it’s easy to see on a topo map. It’s not so easy to describe though. Buy a topo map at Skinny Skis.